In my first two parts of this “What Happens…” series, I mentioned that the main purpose of a two-week LOBO team is to conduct medical clinics in the slums and villages near Kampala, Uganda. But there are some days we don’t do that. Putting together a medical clinic, even though LOBO has done it for a while, is still a big logistical process and it’s a lot to try to do it every day for two weeks. So we do it approximately every other day, and on the days we don’t do medical clinics, we usually do simpler things. Simpler, but still necessary and gratefully received. Today’s post is about Dropping In. Sometimes on our non-clinic days, the LOBO team drops in and visits people who just need encouragement. We can’t necessarily do anything about the position these people are in, but we stop by and spend time talking and praying with them. And…. we bring Beanie Babies. Yes, you read that correctly. Those nutty little stuffed animals that made everyone in the U.S. crazy in the mid 90’s. Those stuffed animals that caused me, in the mid 90’s, to run all over town to make sure I found the right snake, penguin or cow. Those things. It turns out Beanie Babies have amazing healing powers, at least in Uganda. Well, maybe not actual healing – but they do tend to make people feel good at the moment. OK, enough of the Beanie Baby sidetrack. When I was in Uganda, our team made four significant drop-ins. Four visits, where we spent time with some of the most neglected people in Uganda… babies, the elderly, the severely handicapped, and the hospital patients. The Sanyu Babies Home resembles an elementary or preschool. They rescue babies, many who were found abandoned by the sides of roads or near dumpsters. The babies are brought to the home, taken care of, and eventually placed in loving homes. There is a large outdoor patio area (not to be confused with an indoor patio), filled with rocking chairs. And the rocking chairs are sometimes filled with LOBO team members, holding babies. 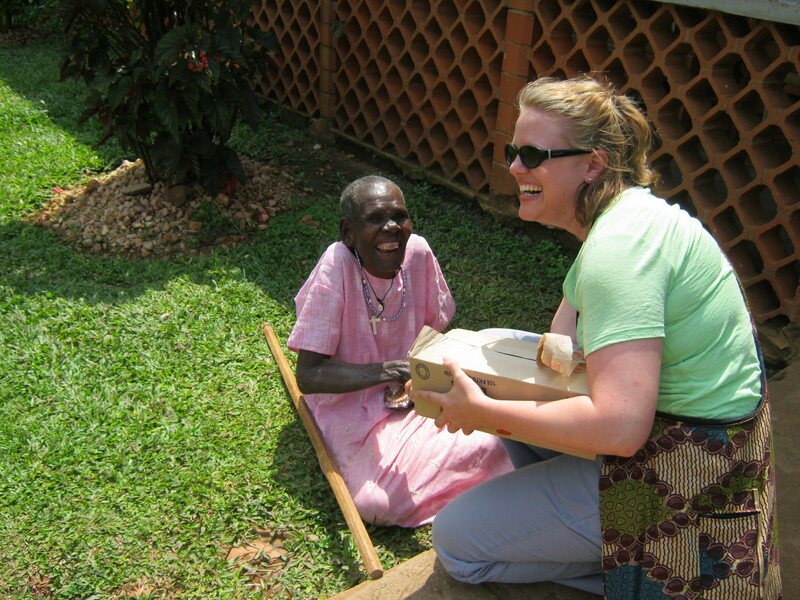 The Mapeera Bakateyamba’s Home is a Catholic-run home for elderly people. It’s very different from any kind of senior or convalescent home here in the States. It looks a lot more primitive, but it’s still very comfortable. There are even a few pigs nearby, and I’m not quite sure if they’re associated with the home or not. Maybe they’re elderly pigs. A typical LOBO team will spend a few hours at the elderly home, visiting the residents and of course, giving them Beanie Babies and cookies. That’s always a fun visit. 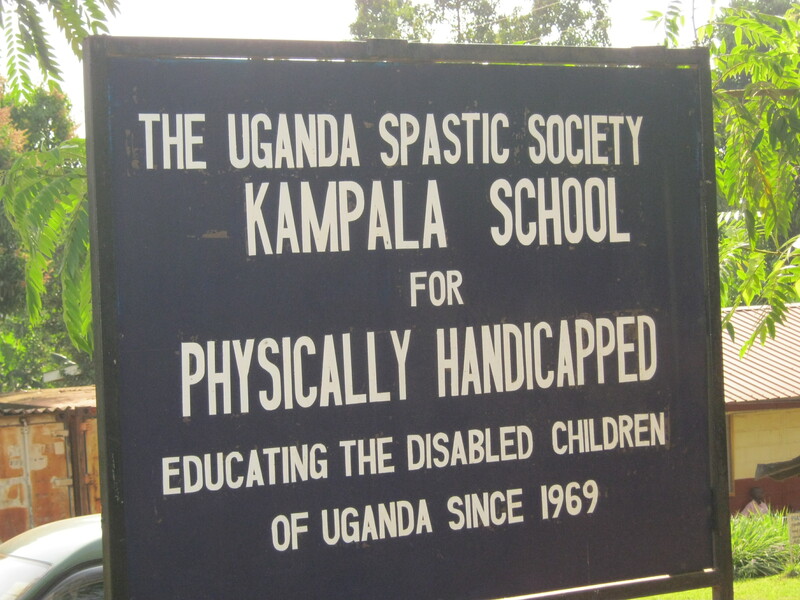 The Kampala School for Physically Handicapped…. yes, I agree that’s not a very politically correct name. But it is in fact the name of a school for severely physically handicapped children. They live there in dorm style rooms, and are given a chance for an education. This could be a blog post in itself, but the short story is – if you’re physically challenged in Uganda, you have little to no chance of any kind of meaningful life. Education normally isn’t available to you, and your family may abandon you because it’s too expensive to take care of you. But some are fortunate enough to find a place at this great school. A LOBO team will usually visit this school once during our two-week stay, bringing gifts and hanging out with the students during a school assembly. **One more thing…. Sometimes a few severely handicapped children live at the elderly home, because they were kind enough to take these kids in. LOBO has been able to place two of these children into the Kampala School. Mulago Hospital – The largest hospital in Uganda. If you go to the hospital in Uganda, it’s serious. There really are no minor procedures – people wait until they’re gravely ill to go to the hospital, because it’s too far, too expensive, or both. The kinds of sicknesses and injuries they deal with there are rare in the U.S., but common in Uganda. When you go to the hospital in Uganda, you get a bed – no sheets or blankets, just a bed. It’s your family’s responsibility to provide your linens, and your food. The family will typically stay with the patient at the hospital, camped out on the floor near the bed (in the photo to the left, a baby is crawling on the floor, near a family member’s bed). Once or twice during our two-week stay, the LOBO team visits patients at the hospital, talking with each patient and their families. And we bring Beanie Babies. So that’s why I’m going back to Uganda this summer. If you’d like to help send me there, contact me at c.millers.mail@gmail.com, and I’ll give you more information. Also, if you’re going to be in the L.A. area on February 24, I will be hosting a concert that day to help raise financial support for my trip. I’ve invited some very talented friends to come and play that afternoon. You can email me at the above address to find out more about the concert. Handicapped people in Uganda are generally treated as outcast. People usually think your family did something evil to cause this situation in your life..